Our Day 5 activity was to pick out a toy to donate. 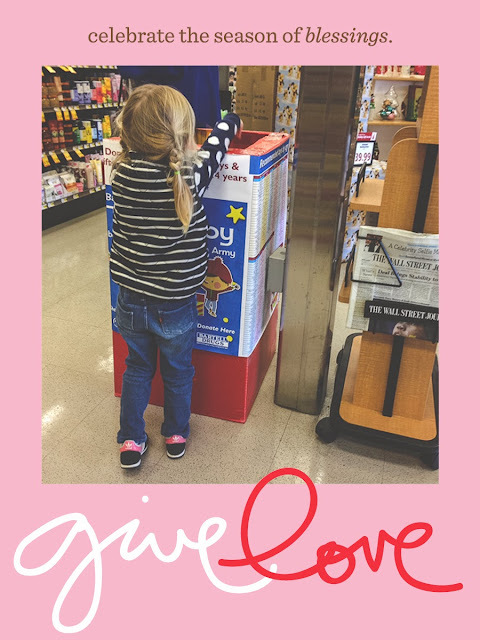 I wasn't too sure if my 3 year old would grasp the concept of charitable giving but she surprised me. We went to the drug store and she hemmed and hawed (what does that even mean??) over all the possibilities. She finally decided on a backhoe and a dinosaur because according to Matilda: "Mommy, even boys needs toys!"